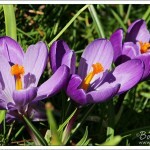 I am delighted to see that spring has finally come knocking at my front door. She hasn’t however just crept along timidly, hoping not to cause too much fuss, she’s banged repeatedly on the knocker and is wearing her brightest finery. I even saw my first lambs yesterday, so that was a treat too. 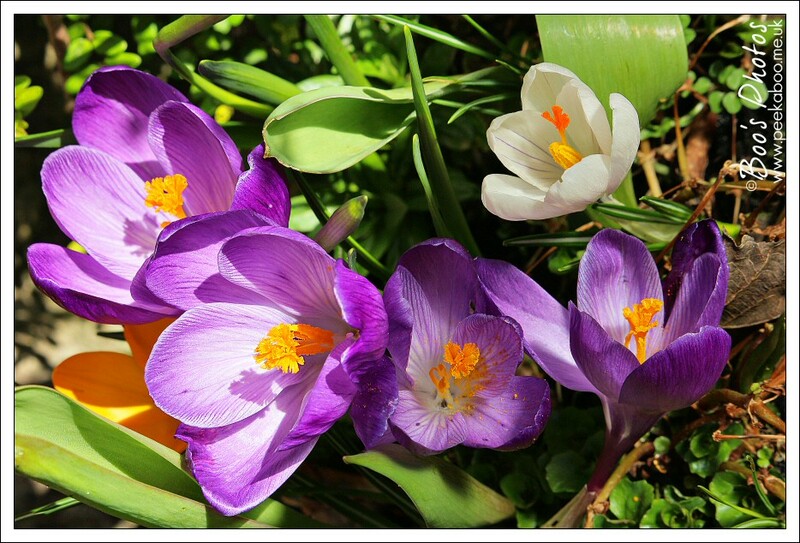 It’s one of my very favourite times of year, when the usually scrubby patch of grass [read that as more moss than grass] outside our front door is solid with spring flowers. 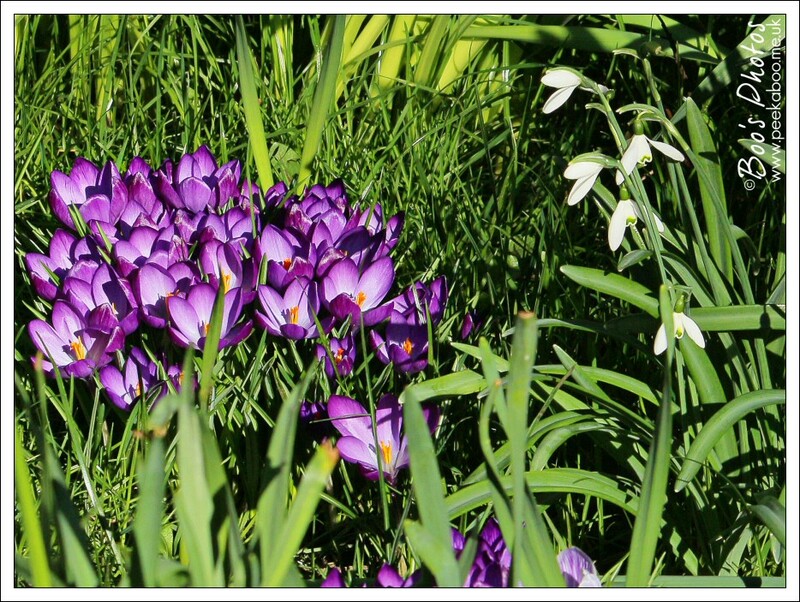 I’m pretty sure that they’re usually more spread out, in that the snowdrops are usually past their best by the time the crocuses emerge and they then overlap with the daffodils. 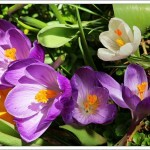 But at the moment, they’re all in full bloom. There are even daisies amongst them already. In fact, I thought the snowdrops had taken a battering in recent storms and were certainly finishing blooming, but a whole raft of new flowers have emerged this week, so it seems that it was only the first flush that were done. There are some, thankfully still in bud, yet to enjoy. What could be more cheerful after a long winter than seeing this vibrant splash of colour and a bee busy at work. I must start keeping a record of what blooms when, as I’m sure it must vary quite a bit year on year, depending on how severe the winter weather was. I’m also pretty certain that winters are nowhere near as severe as they used to be – I know that we get a fraction of the snow we have had in past years. I’m not sure this is entirely good for nature, I think some species need a good hard frost as part of their cycle and I feel this may be why for the last few years, my smaller daffs, often flower just above the soil, without ever growing proper stalks and developing the height that they should. It feels like they haven’t been allowed to sleep and then woken properly. 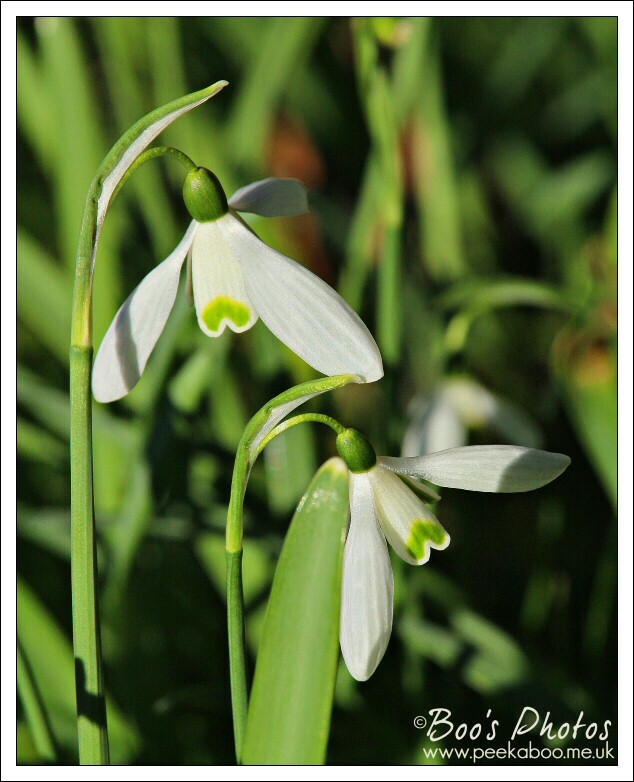 We had a lovely day earlier this week, when the wind finally dropped enough to try and take some photos – delicate flowers like snowdrops quiver significantly even in the slightest breeze. 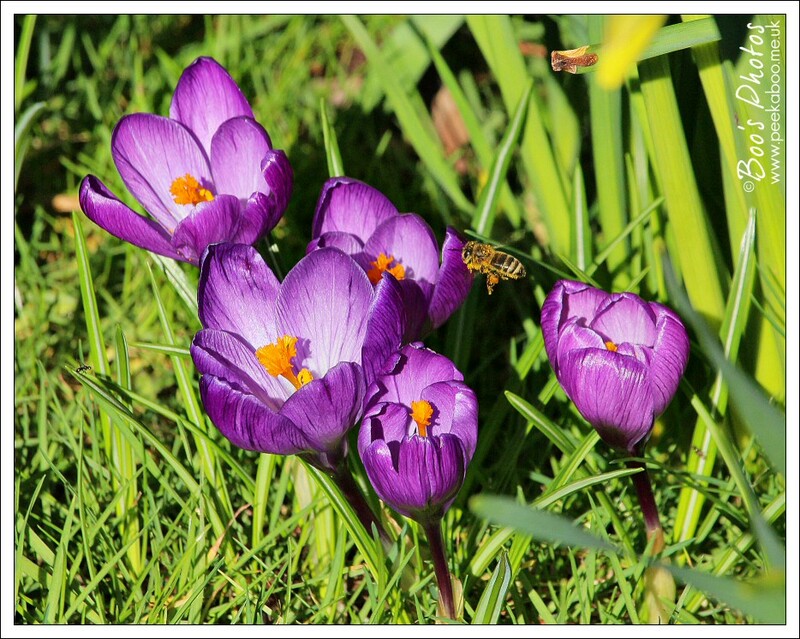 I caught it just on the right day – the warm sun caused the crocuses to open wide and they were pristine and new and I was delighted to see several industrious bumble bees. I wasted more time than was decent to try to capture one particular character who was very keen on the snowdrops, but he was a large chap and heavily laden with yellow pollen caught in his furry back (you can see him in the banner image at the top) and every time he landed on a snowdrop, his weight caused the flower to drop violently earthwards and dump him onto the grass. He valiantly kept trying though. 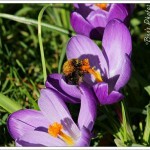 The crocus shape was more suitable for him and I did manage to catch him visiting them. 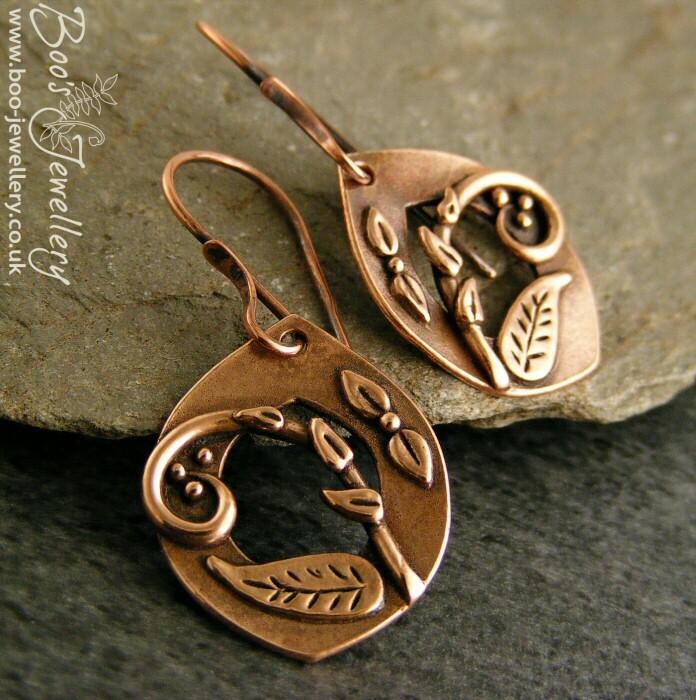 Pink bronze earrings, initially inspired by a couple of my favourite jewellery designers; Archibald Knox and Georg Jensen. 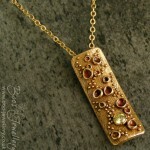 I started with an idea and before I knew it, it had taken on my own style anyway. My husband was working away for a few days recently and I consequently had a really exceptional time getting lots of work done. I was really in the zone and had few interruptions, so made significant inroads into my ‘to do’ list. It was a most enjoyable and satisfying time. 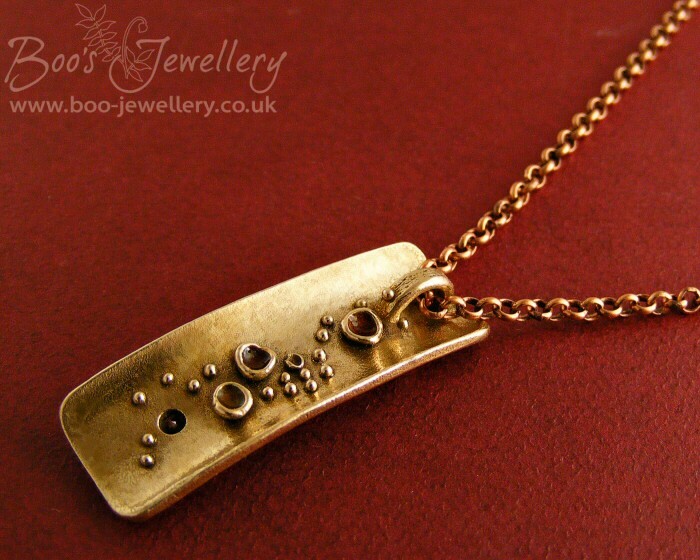 So I now have a pile of finished pieces and some fired metal clay components to make into something and I’m just getting them all added to the web site and for sale. 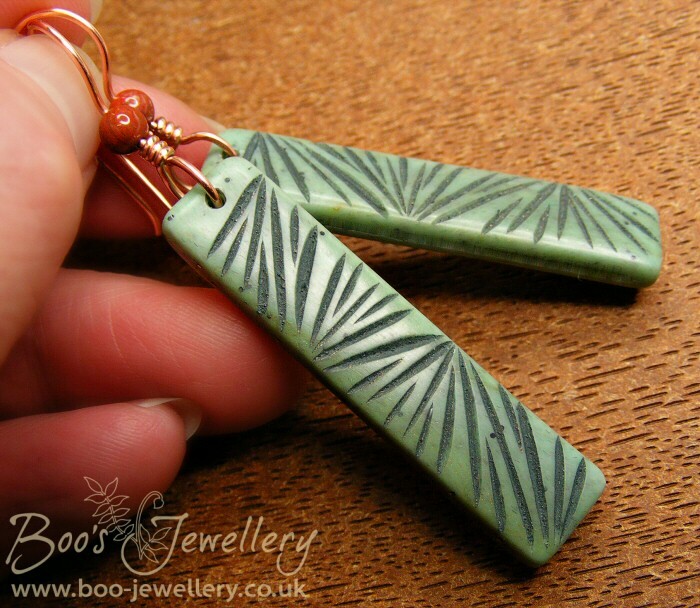 Having sold several polymer clay pieces recently, I decided that I hadn’t played with polymer clay for a while, so a session was long overdue and I already had some ideas tucked away that I wanted to try. I decided to start simple initially, to get my eye back in and also used some old baked pieces to try carving designs into. 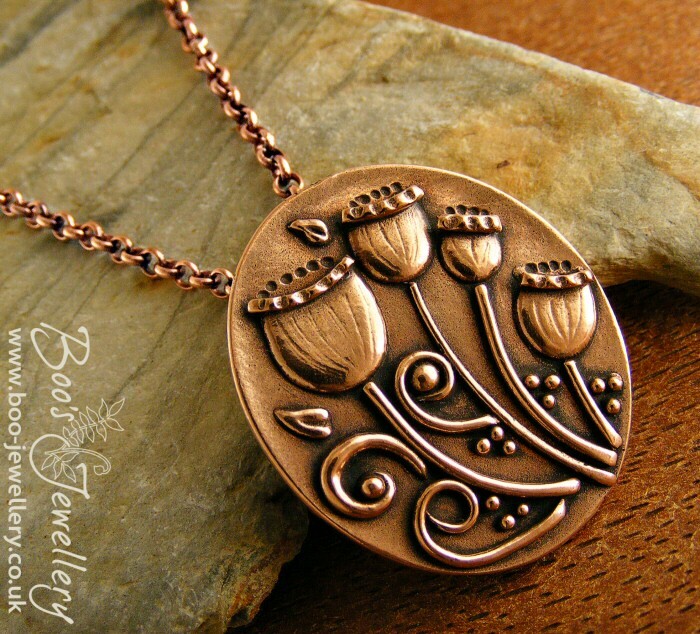 I’d done some rudimentary carving on metal clay and to make texture plates, but carving into polymer clay is most enjoyable. 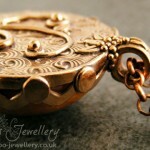 It’s just the right texture and density to carve easily and smoothly, but hard enough that it doesn’t slip away from you too fast, as some of the softer texture plate materials can do. I do however need some better carving tools, what I’m working with is decent enough to let me try it, but not fine enough to turn tight curves, so my designs are somewhat limited. 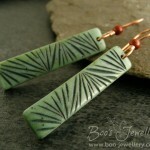 The blue green earrings in the gallery were made with a mix of clays to give rise to a semi-translucent clay with fibrous inclusions. 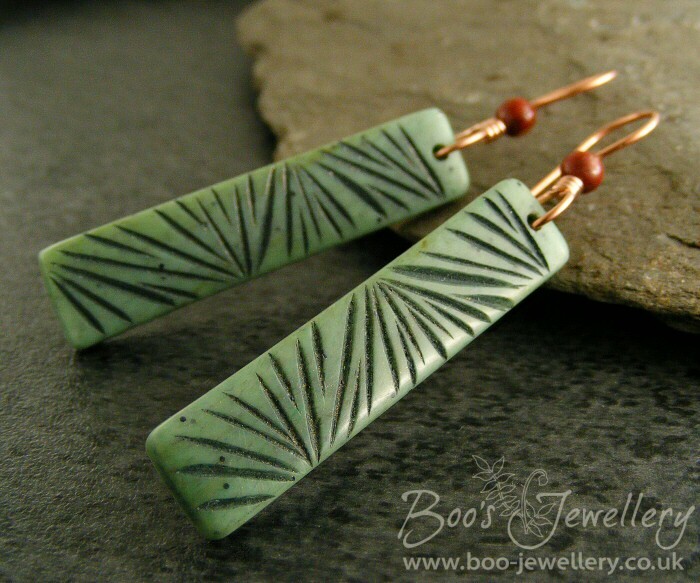 I thought they had the look of carved jade and having looked at carved jade netsuke I saw that a lot were teamed with red beads, so I thought that this would be a nice way to finish these earrings, so have paired them with Brecciated jasper beads; a combination I’m certainly going to use again. 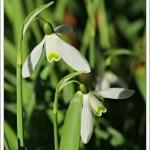 Snowdrops are like elegant ladies and one of my very favourite flowers. 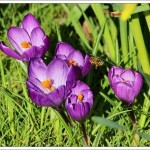 I wonder if I’d get bored of them if we had them all year. I doubt it, but their short stay does make them all that more special. 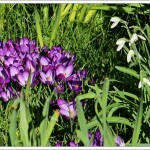 I love this intense colour combination after a drab winter. 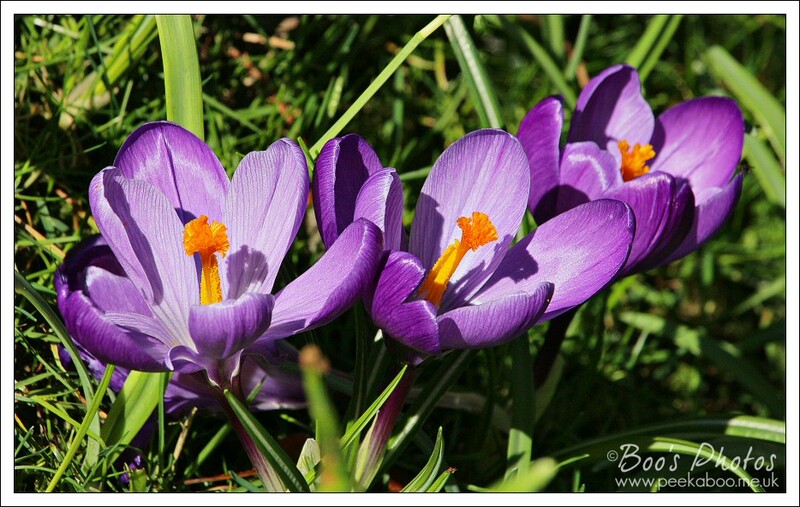 Some of the patches of crocuses that were a little more sheltered have managed to remain pristine despite recent battering winds. They were only this pristine for the one day. 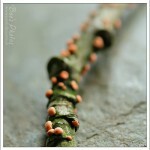 Once bad weather hits, their delicate structure takes a battering. 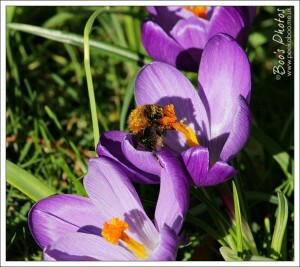 There were several bees busy taking advantage of the sudden warmth and wide open crocuses. 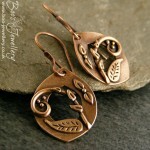 Carved polymer clay earrings with red Brecciated Jasper and copper earwires. Looking at carved jade netsuke I saw that a lot were teamed with red beads, so thought that this would be a nice way to finish these earrings. 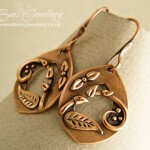 Carved polymer clay earrings with red Jasper and copper earwires. The polymer clay has been sanded and buffed to a satin sheen with wax. 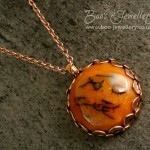 Faux Chinese amber cabochon set in a pink bronze bezel set pendant. 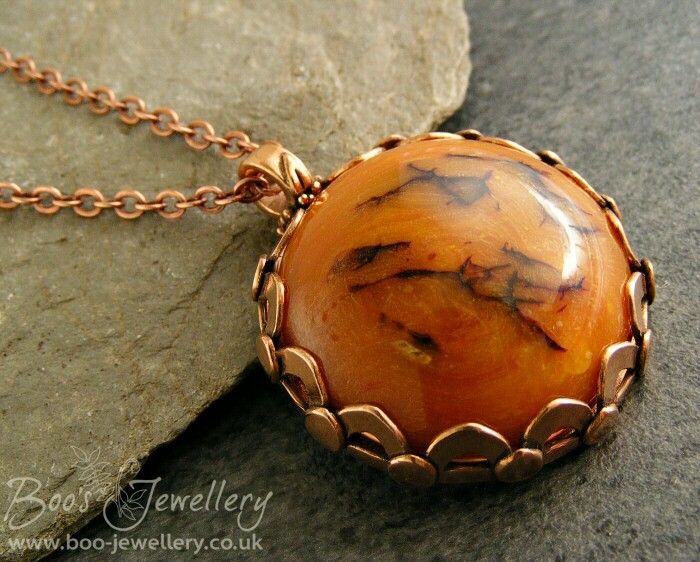 Faux amber and pink bronze bezel set pendant on chain. 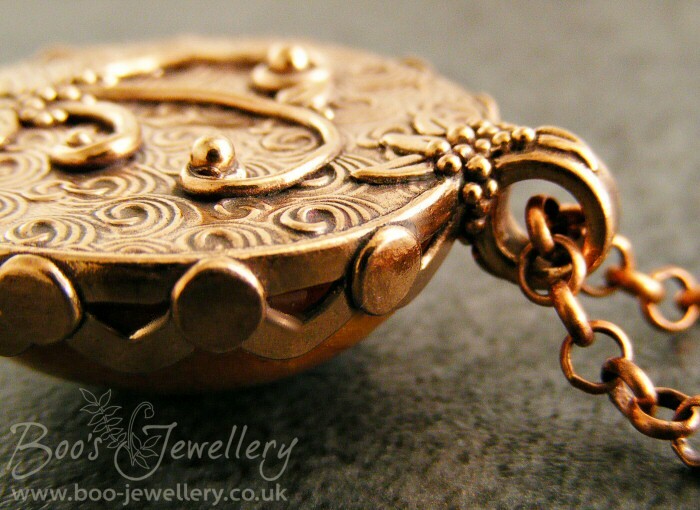 The back of the pendant is decorated with hand sculpted and appliqued decorative details including scrolls, leaves and tiny balls of solid bronze. 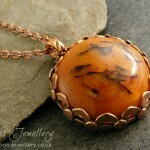 The pendant could be worn both ways. 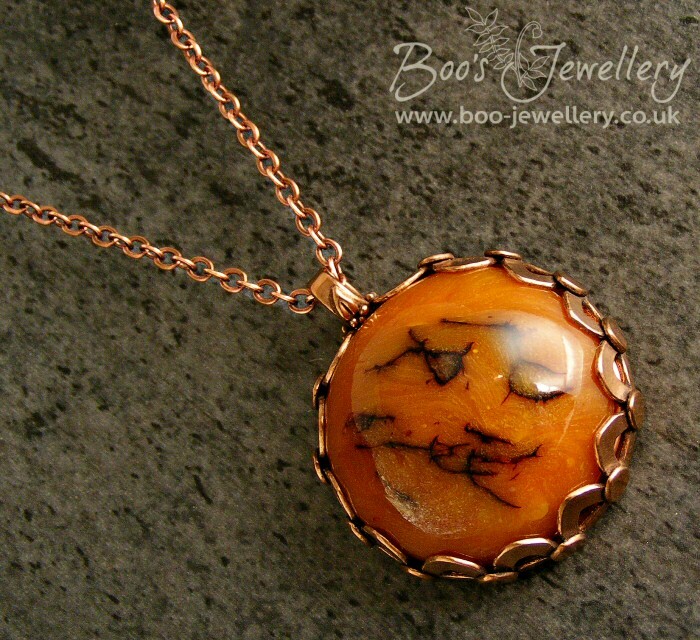 The bezel of this faux amber pendant was cut from my own digital design using a Silhouette cutter on thin dry clay sheet, further embellished with tiny fat teardrops. Pink bronze earrings featuring tiny hand crafted tendrils and leaves. 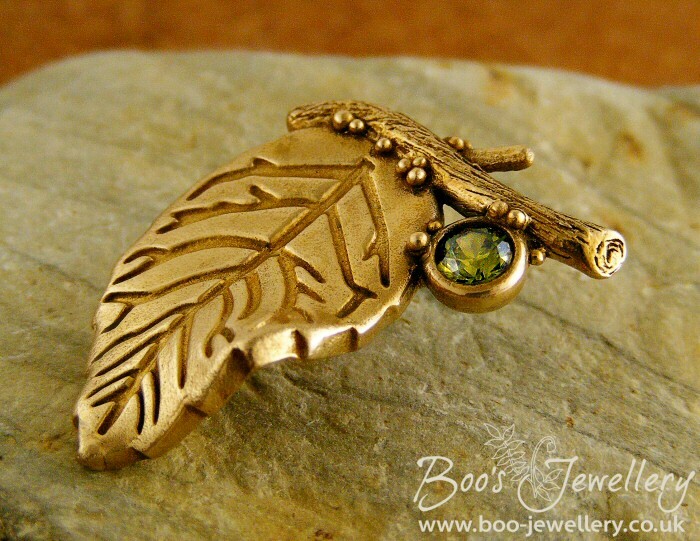 Sunny bronze leaf and twig brooch pin featuring a peridot coloured cubic zirconium gemstone. 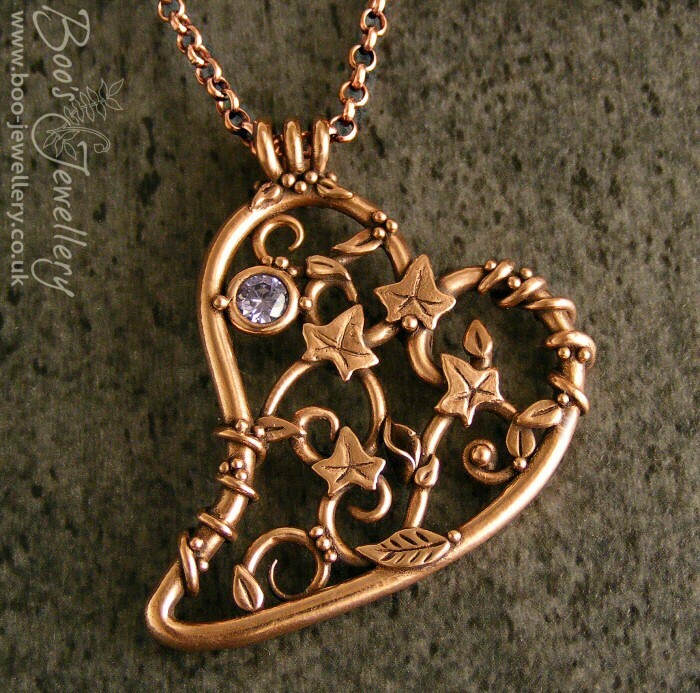 Filigree heart pendant made in a pink bronze metal clay and adorned with a lavender coloured cubic zirconium gemstone and tiny ivy leaves, tendrils, berries and leaves. 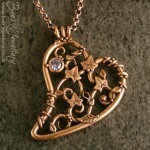 Filigree heart pendant made in pink bronze metal clay. 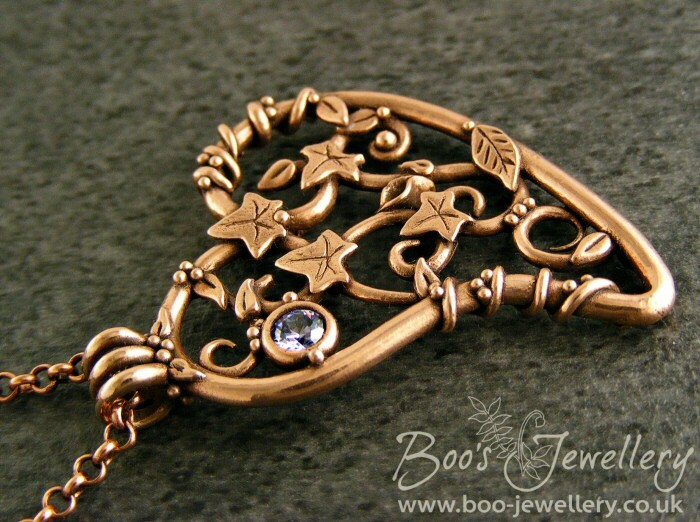 It features a random collection of ivy leaves, berries, tendrils and tiny leaves and a sparkly lavender cubic zirconium gemstone. Tiny fungi growing on a small branch. 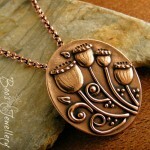 These were the inspiration behind my bronze bark pendant. 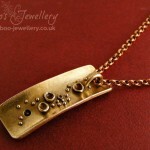 Bronze pendant inspired by bark covered in tiny cup fungi. When it came out of the kiln it was the most gorgeous pinky brown colour, so as this wouldn’t last, I decided to fill the tiny cups with little patches of coloured resin. 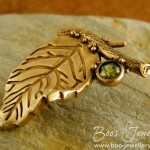 It also features a citrine coloured cubic zirconium. 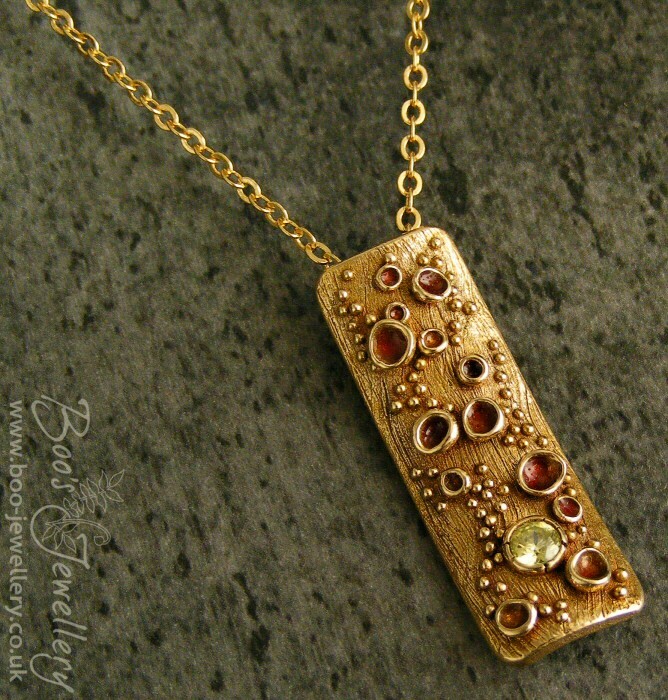 The back of the sunny bronze bark pendant, also featuring tiny cup fungi, filled with coloured resin. 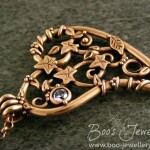 Pink bronze pendant featuring stylised seed pods and curly tendrils. The design was inspired by photos I took of tiny empty seedpods at the end of summer.